So many quilting features, the Symphony will be music to your ears. With 460 stitches, 17 feet, and a speed of 1,000 stitches per minute, you can hit all the right notes. 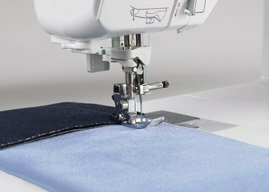 These amazing features come together to allow you to quilt with a full range of creativity. 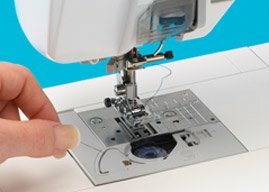 I love exploring the quilters who have come before me, and I love mixing their secrets with my unique vision. The Symphony has all my favorite features combined in one masterpiece of a machine, allowing me to perfectly blend the past with the present. 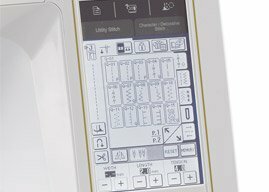 The Symphony's easy-to-read touch screen makes it simple to access your machine’s stitches and settings. 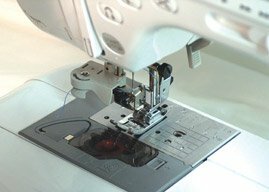 Choose from 460 built-in stitches with a maximum stitch width of 7mm to quilt at speeds of up to 1,000 spm. 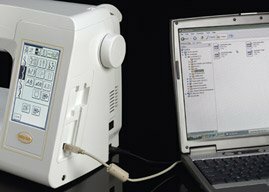 You can even combine and save stitches to your machine or PC. 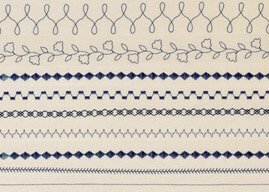 Remembering the best stitch for your favorite projects is easy with the built-in stitch memory, which lets you edit and save your stitch width, length or even your own pattern. Quickly save stitches to your PC, and easily access future machine upgrades with this USB Type B port. 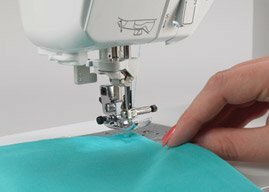 Pivot your fabric without interrupting your work. This makes turning corners, following curves and maneuvering around appliqué shapes hassle free. The Advanced Needle Threader lets you thread with one hand, with five LED lights illuminating the workspace. The Symphony will even automatically cut the upper and lower threads for you. 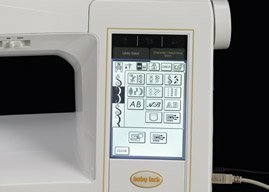 The Automatic Fabric Sensor System continuously senses your fabric to deliver the perfect amount of pressure and thread tension when quilting with layers. The top loading bobbin case lets you focus on your sewing. 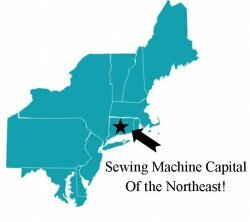 It's jam-proof because the top-loading bobbin keeps the thread right where you need it.